Hi everyone ! I´ve been teaching English in Vénissieux, near Lyon since 2002 and I try to make my lessons as attractive as possible especially with pupils who are not that good at English ! 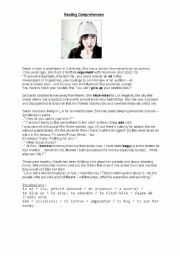 Your fabulous worksheets are great and I hope you´ll like mine ! Thank you ! 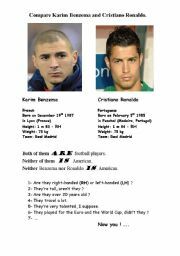 Compare Benzema and Ronaldo : what do they have in common ? This worksheet is a good way to teach BOTH OF... NEITHER OF... with a familiar topic: football ! The two players mentioned here are famous especially Benzema, who was born in our town ! More sentences can be made by the pupils... You can also change the names and photos or even topic ! This is a reading comprehension, easy to use on its own or with the questions worksheet available... Perfect for 4ème or 3ème (14-16 year old students) ! 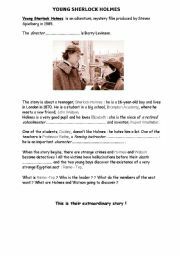 A reading comprehension easy to use for a "3ème" level. 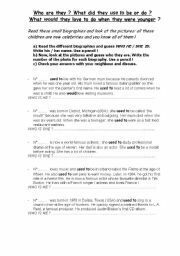 It can be used on its own for an activity in class or as a reading comprehension with the questions worksheet. Here is the questions worksheet. 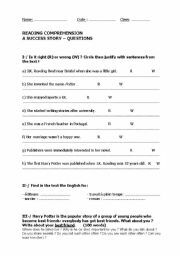 This worksheet goes with the reading comprehension document called A YOUNG TEENAGER talking about the teenage girl Sarah I also put on the site ! On holiday in Spain ! 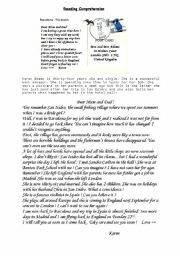 This document is a reading comprehension to use on its own or with the questions worksheet also on the site. It is about a holiday in Spain and the letter written by Karen tells about the surprise she had there ! Compare Britney and Justin: what do they have in common ? This worksheet is another work to make comparisons between 2 characters: studying BOTH OF THEM / NEITHER OF THEM was not easy for my pupils. You can use this worksheet after the one I made about Ronaldo and Benzema, the 2 football players, available on the site. It can also be used as a test. Enjoy ! WHO ARE THEY ? WHAT DID THEY USE TO DO ? WHAT WOULD THEY LOVE TO DO WHEN THEY WERE YOUNGER ? 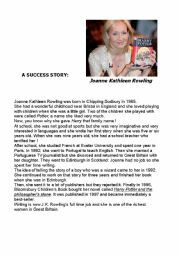 This questions worksheet is to be used with the text called "J.K. Rowling - A success story". 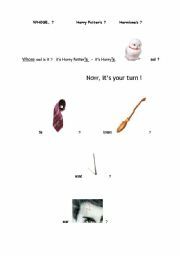 Genitive - Is it Harry´s or Hermione´s ?